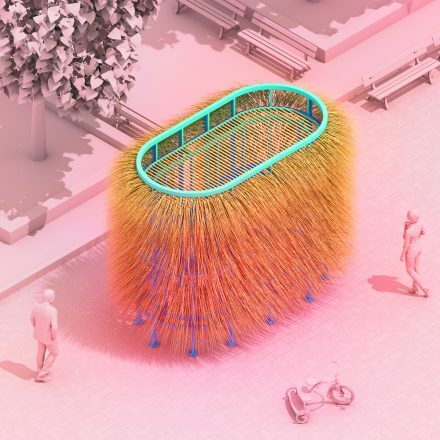 “Hallel” by Abre Ettah, New Malden, Britain, UK: This sukkah brings together the historic elements of Sukkot — light, water and festive celebration. Downtown Synagogue’s design competition to bring Sukkot alive at Capitol Park. A sukkah can be a humble thing, a hut made of plywood two-by-fours and nails with a roof of evergreen branches. It can be chateau-like in miniature, with chandeliers, carpets and windows. Or it can be egg-shaped and covered in petal-shaped shingles. However plain, grand or whimsical, the sukkah must serve the purpose of providing shelter for the seven days of the holiday of Sukkot, this year from sundown Sept. 23 through Sept. 30. The timing of the harvest holiday coincides with the Detroit Month of Design, making the first-ever Sukkah x Detroit sukkah design competition a neat addition to Detroit’s thriving creative economy. The Isaac Agree Downtown Synagogue is lead presenter of the competition, with funding coming from a $100,000 grant from the William Davidson Foundation plus support from Jennifer and Dan Gilbert. The competition drew nearly 80 submissions from as far away as Gibraltar, Iran and Uganda. A jury selected five sukkah designs based on criteria that included functionality, aesthetics, buildability and conformity to religious law. Sukkot is a celebration of the in-gathering of the fruit harvest in the early fall. 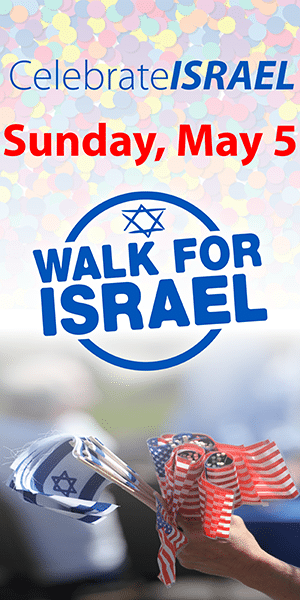 It is one of three “walking” festivals in which Jews in ancient times streamed into Jerusalem to bring sacrifices to the Temple. The sukkah is a commemoration of the Israelites’ journey through the desert after leaving Egypt, when they were protected by clouds of glory. Its roof, made of natural materials that allow a view of the sky and stars, is meant to evoke their spiritual ascent. Another interpretation is that the sukkahs represent the tents the Israelites dwelled in during the 40-year desert trek. During the week of Sukkot, Jews are supposed to eat all their meals and sleep in the sukkah, which should be built to withstand the elements. Special prayers are made inside the dwelling. 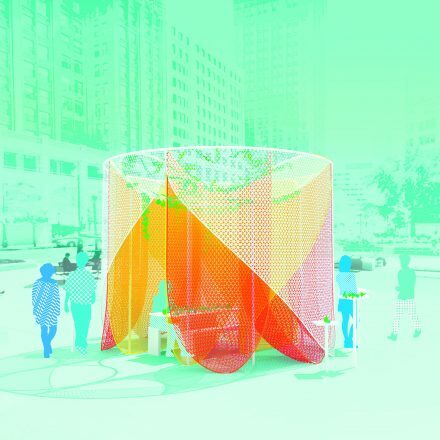 The winning sukkahs (two by local designers) will be exhibited in Detroit’s Capitol Park, near the synagogue, throughout Sukkot. 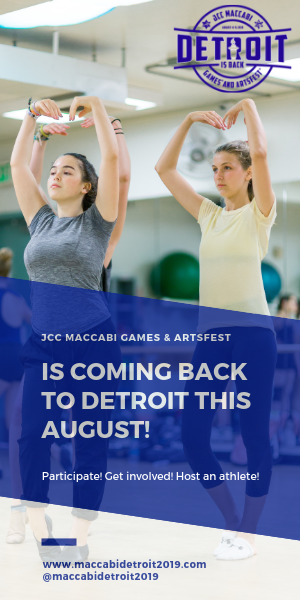 Programming throughout the week includes sukkah decoration making, a sukkah hop, lunch and learn, a klezmer party and other activities connecting the holiday to Detroit’s rich tradition of urban farming and social justice. Program partners include The Well, NEXTGen Detroit, ChabaD, Hazon, the Jewish Community Center, Reboot, Hillel of Metro Detroit and Repair the World. 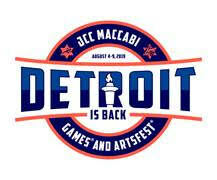 For a full schedule, go to Sukkah x Detroit’s Facebook page. A similar competition in New York in 2010 inspired Sukkah x Detroit, says Jodee Fishman Raines, president of the Downtown Synagogue. 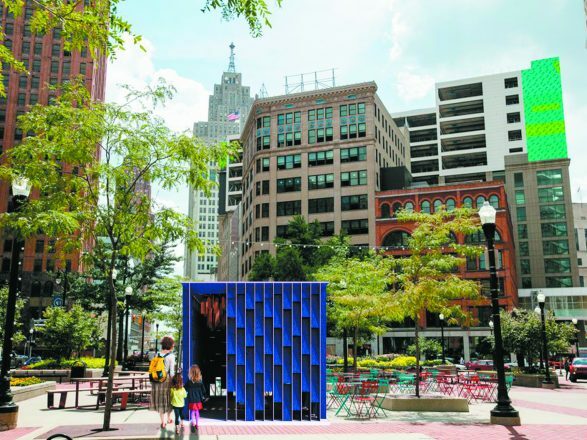 Detroit is in the midst of a rebirth, and because it is one of the first cities designated as a City of Design by the United Nations Educational, Scientific and Cultural Organization (UNESCO), celebrating design through forms of the sukkah was a natural. Raines hopes to introduce new people to the Griswold Street synagogue, strengthen bonds with other Jewish organizations, and educate Jews and non-Jews about the holiday of Sukkot. Sukkah x Detroit competitors were required to submit an artist’s statement with a rendering of the design. Raines loved how thoughtful they were, especially because most are not Jewish. That egg-shaped sukkah design, however, was created by a Jew, Noah Ives, who runs an architecture firm in Portland, Ore. Ives celebrated Sukkot growing up in Newton, Mass., but his family didn’t build a sukkah at home. He loved the specificity of the competition, which came with a $5,000 design fee and $10,000 for materials and construction. “Seedling Sukkah” by Noah Ives of Portland, Ore.: Inspired by the simple elegance of natural patterns, this sukkah is an intimate gathering space as well as an eye-catching place marker. Ives did run into a glitch: He learned that a plywood roof wouldn’t pass kosher muster, so he had to use basswood, a lighter wood that is not considered optimal in builds but works in this case. 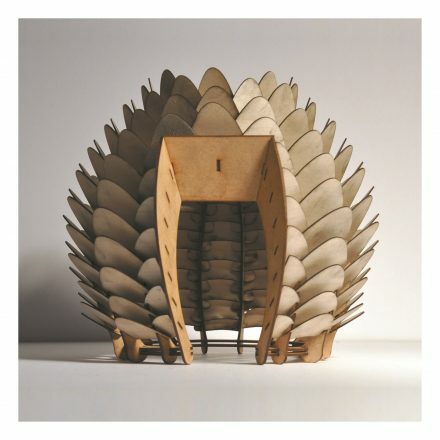 A few weeks before coming to Detroit for the build, Ives connected with a workshop in Detroit to laser-cut the petals that form the 1,000-pound sukkah. He still wasn’t sure how he’d transport everything to the city. Having a context, or in this case, arcane Jewish law, can make a project more enjoyable, says Noah Resnick, co-chair of the Sukkah x Detroit jury. Resnick is the director of the master’s program in architecture at University of Detroit-Mercy. He is also a principal at LAAVU, an architecture studio in Corktown. Resnick has fond memories of the years he and his brother built and lived in a sukkah behind their Miami home. It was the first structure he built and possibly formative in his decision to become an architect. “My brother and I didn’t get along super well, but that’s one of the rare times we did. We took some of the rules pretty seriously. We made strictly kosher sukkot and had a lot of fun doing that,” he says. The s’chach, or roof, was always palm fronds. The extras were donated to their shul. The jury had seven members, including co-chair Anya Sirota, an architect who teaches at the University of Michigan Taubman College of Architeture and founded the architecture firm Akoaki in Detroit. Nice One of Cambridge, Mass., created this sukkah as an impermanent shelter exposed to the elements. Composed of thousands of suspended bundles, it hides an intimate place of rest. The process that began well before the jury began its work has been overseen to a large extent by volunteer Sigal Hemy. She helped write the request for proposals, worked with Rabbis Ariana Silverman of the Downtown Synagogue and Yisrael Pinson of Chabad of Greater Downtown Detroit, got permits (with help from Dan Gilbert’s organization), put together a show catalogue and exhibit. Hemy praised George Roberts, a board member of NEXTGen and director of public spaces at Quicken Loans, for assistance in helping with the build. Jon Koller, an engineer, synagogue member and community builder, helped ensure the designs were structurally sound. To view all the designs, go to sukkahxdetroit.com.